Steps from Petco Stadium, enjoy sweeping city views from this incredible south facing 12th floor unit. 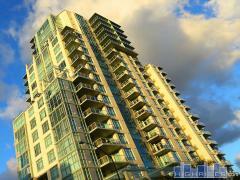 Located in the highly sought after community, The Mark. This contemporary 1BR/1BA offers floor to ceiling windows, accent cement walls, custom kitchen tile backsplash, walk-in closet, balcony, secure underground parking, and storage. This full amenity Highrise has a 24hr security and concierge service, a private building driveway, conference room, fitness center, and salt water pool/spa. Property Summary: This 1 bedroom, 1.00 bath condo is located in East Village in DOWNTOWN, CA.